San Diego CAMFT - Member Social... Networking! Join us for our first event of 2018! 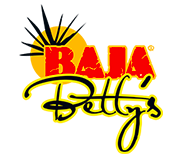 Kick of the year with us at Baja Betty's on Wednesday January 24th starting at 5pm. We'd love to hear how you are all doing and what you'd like to see more of in 2018. This is a social, networking event.